Celebrate a once in a lifetime shot with our Hole in One Golf Trophy! 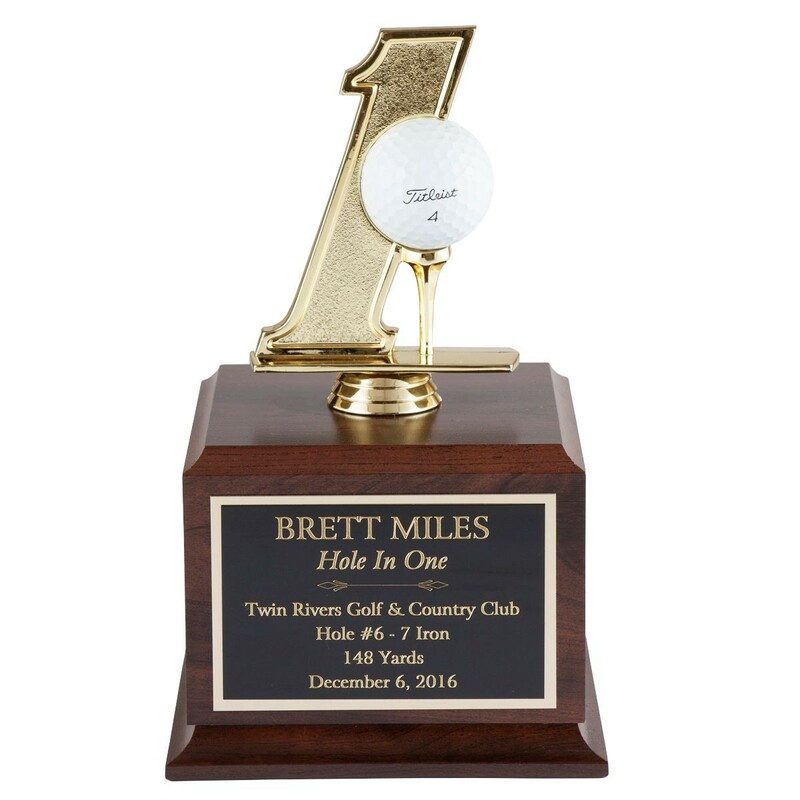 This hole-in-one golf trophy features a golden number one figure and a golf tee with a ball holder to display your golf ball. The figure is attached to an elegant cherry wood base with up to 7 lines of engraving for FREE! Trophy measures 9" tall.